You’ve most likely heard about the many benefits of content creation for your personal brand. Through content, you can create traffic to your website, enforce your position as an educator, and build an audience for your personal brand, according to Web Presence Group. Content creation is one of the best practices in personal branding today. You can leverage your voice and enhance your brand’s authority through blogs, webinars, podcasts, tutorials, or videos. Read ahead to learn four rules of creating content for your brand. Creating content is a personal branding best practice because it allows you to demonstrate your expertise while gaining exposure. Content creation is a best practice for personal branding, though despite branders’ efforts, many are making missteps online. One crucial mistake is in the subject matter itself. There is so much content posted online that it can be easy to blend into the background. Any one area of interest is sure to have many outlets of information posted online. To combat the information overload, make your content stands out with great specificity, suggests a recent Blogging 4 Jobs article. The more specific your personal brand’s content, the better. Content consistency is another best practice for your personal brand. Consistency does not mean producing a lot of monotonous, like-minded content. It means being consistent in delivering it. Set a schedule for yourself to publish a new post as often as you can manage, with once a week being the desired minimum. Consistently creating great content isn’t easy, but it will get your personal brand the strong digital presence and authority you want. Besides creating and publishing your own content, engaging with other content on the web can also be beneficial, according to a recent article in Inc. Magazine. Interact with your brand’s community by keeping up with relevant blogs or other content and engaging with meaningful comments or discussions. Bring new perspectives to light, propose some followup questions, or take an opposing view. By doing so, you not only educate yourself on current happenings in the community, but you also network with other creators and establish yourself and your brand as well. 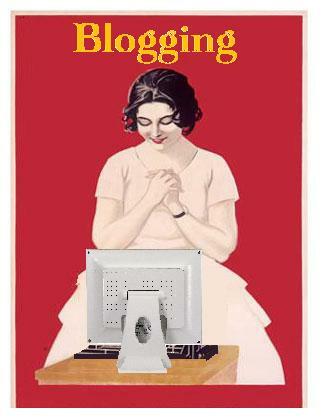 Blogging is a popular choice for creating content. Because content can garner a lot of web traffic and visibility, you’re going to need a visually appealing site to welcome visitors and provide a strong first impression. Squarespace can do that for you. If you don’t already have a website, or if your current website is outdated, consider trying out one with Squarespace. With 24/7 support, you never have to worry about problems with your content. You can get a yournamehere.com URL for the best possible visibility. Search engine optimization is built in to maximize web traffic to your content. Most importantly, Squarespace is known for its professional, award-winning designs. They’ll give your content an edge on the competitors and leave a lasting impression on visitors to your site! There’s no getting around it. Content creation is a best practice of personal branding. What is your favorite type of content to create? Have you found success in any type in particular? Share your thoughts and leave a comment below!